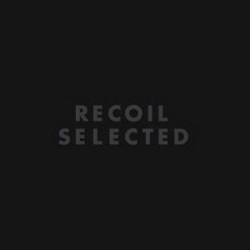 Recoil was once a side-project by Depeche Mode’s Alan Wilder. Since he left the band in the mid-’90s, it has become his full-time gig. The ‘Selected’ boxed-set includes 3CDs and 1DVD. The DVD is essentially a copy of the visuals that Wilder put up on a screen behind him when he toured to promote this set. Included, of course, is a mashup of Recoil’s music to accompany it. I don’t know that it’s exactly the same mashup as on the third CD, but they sounded similar. And I don’t know if it’s a proper representation of what one could have expected on the promotional tour, but it’s really good. In particular, I loved the music. The visuals are a mish-mash of unrelated themes that were edited together by someone else. They’re intriguing curiosities, but they don’t make for essential viewing; they were probably better-suited as backdrop. And, thus, it may become background for when I have guests over (those who can handle Recoil, of course ;)).